The secrets of Siri in 2014: Always on, always listening? 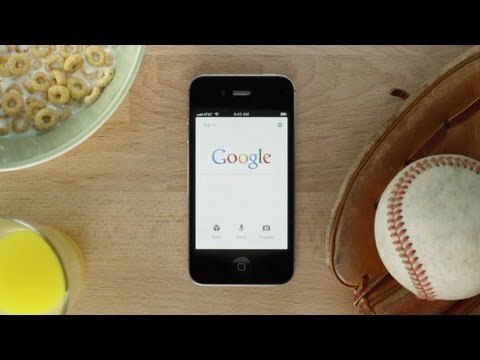 New Google Voice Search comes to iOS: Is Jelly Bean handing over its best weapon? Martin Scorsese has popped up in an advert for Apple’s Siri personal assistant. He joins the esteemed company of Samuel L. Jackson, Zooey Deschanel and John Malkovich in promoting Apple’s voice-activated digital butler. But they’re not the only big names signing up to promote tech products, as we showed last year. So who else has been at it lately? We’ve rebooted the franchise of celebrity tech endorsements, so let’s take a look. The Oscar-winning director is the latest star to appear in an advert for Apple’s Siri personal assistant. The ad sees him in the back of a taxi, firing a barrage of questions at Siri. The one we can’t believe he missed: You talkin’ to me? Google was keen to big up the revamped search abilities in Jelly Bean, claiming to have redesigned the function from the ground up. With one eye on Siri, it’s vastly improved its Voice Search, making it quicker and more accurate, with the might of the Google search engine behind it. If you’re in any doubt, here’s why it’s more than a match for Apple’s voice-activated assistant. Next week is a big week in the mobile space. Google will kick off its annual I/O developer conference, but not before Apple’s had its chance to wow the world with a show of its own: WWDC. I’ve been testing the Samsung Galaxy S3 out this week, in time for its much-hyped launch. It’s everything you could hope for in a new phone-that’s-not-an-iPhone. Almost. It’s big, it’s bad, it’s stupid fast. But although nearly every reviewer has come out with the same 4-4/5 score for the Samsung Galaxy S3, there’s something very important most have overlooked about S-Voice, Samsung’s riff on Siri.